Heavy truck drivers drive trucks with or without trailers. They transport materials, livestock, machinery, liquids, general freight, and sometimes hazardous substances. Source: Road Transport Forum NZ, 2018. Chances of getting a job as a heavy truck driver are average for new workers, but good for experienced drivers. 1-2 years of training usually required. keep a logbook of the hours they work. basic literacy and numeracy skills for accurately completing log books and measuring and weighing loads. may work locally or travel long distances, which can mean spending nights away from home. She now drives a 19-tonne swing loader, transporting containers between the Wellington wharves and depots in Petone. When Renee gets to a loaded container, she first has to calculate its weight to ensure it is within the legal limit of her truck. After lowering the hydraulic legs that stabilise the truck and positioning the swing arm, she hooks the heavy chains that will lift the 40-foot container. Using a remote that controls the swing lift, Renee then manoeuvres the container onto the truck. It can be a delicate process that involves a high degree of co-ordination and skill. Sam: I’m Samuel Henry – I prefer Sam. I’m a Year 13 student at Massey High School. In the next couple of days I want to get a real feel for what it’s like to be a real truck driver. 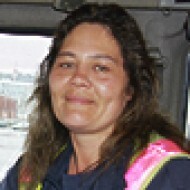 Clinton: To find out what it takes to be a truck driver, Sam will be observing Steve Buckwell, AKA Buck. With 20 years' experience and his own business as a contract trainer and relief driver, what qualities does Buck look for in an apprentice? Buck: A willingness to learn I suppose is the first key ingredient. You’ve got to have a good attitude, good mental fitness, a hell of a lot of concentration is needed while you’re driving. Clinton: Sam will soon find out if he’s got what it takes. Buck: Hi Sam, I’m Buck. How are ya? Buck: Welcome to the Golden Bay Hamer St depot. We’re going to get into it and have a look at a bit of truck driving. First of all, we’d better get you into some kit – safety vest, and I‘ll get you into these boots, mate. Buck: We do a pre-check on the truck, to make sure it’s safe to operate for the day. If you flick the bonnet forward, we’ll have a look at the motor. Buck: Good one mate, you’ve passed the first test. Buck: Alright buddy, this is the powerhouse of the truck, I guess. Twelve-litre, turbo-charged diesel, 470 horsepower, so it’s a little bit more than your average car. Pulls 40 tonne quite easily up a hill. Your car would have trouble doing that. Before we get into it, you’ve got to make sure the thing’s got oil. It lives on oil and fluid and water. So it’s just checking the stick, the same as a car. It’s that simple. Clinton: Buck takes Sam through the pre-check to make sure everything is in its rightful place and working as it should be. Buck: It’s got some go-juice in it. Clinton: Once the pre-check is complete, it’s time to load up the tanker. Buck: Now we want to lower the chute into the tanker and continue to load it. Clinton: Cement is released through the chute from the silo, which is all controlled by a computer. Sam: So that red screen displays the weight? Buck: About there, beautiful mate – 39 tonnes and 80 kilos. Buck: We’re off to Stresscrete in Papakura mate. Sam: So how did you get started? Buck: I guess a love of trucks and a passion for driving heavy vehicles is probably the reason I got into it. Sam: What are the main difficulties driving a truck? Buck: You have to be forever conscious that you are driving something that can kill people, you know. And you’ve got to drive it correctly. But through all your best efforts of driving it correctly, things still go wrong and they’re called accidents. But the more effort you put into driving properly, you eliminate a lot if those chances, which is what it’s all about I suppose. Buck: Now you want to pull this hose out of the thing...it’s quite long, so you’ve got to give it some slack. Buck: Got it in mate? Buck: Before you connect it out, just make sure there are no twists in it. Sam: Yep, that's the one. Buck: It’s the same deal as on the truck, slip it on and put those safety clips on... Leave your foot on if you want. Clinton: So, how’s Sam finding the experience so far? Sam: To me, getting on the road is good and getting a real hands-on feel to what is involved. I do enjoy this loading. Clinton: It’s off to the depot. Time to reload, and take a well-deserved break. Buck: Good mate? Got all the food groups covered here! A good truckie meal. Buck: Here you go sir! Just give that window a quick wash mate, and then maybe just go down the side of the trailer and truck, and just do the wheels too, eh mate? Buck: I think Sam was really good. He had a good attitude and seems like a motivated young fella. He’ll go far in whatever he decides to do, but he’d make a good truck driver I believe. Sam: The whole experience has been really good. It’s really opened my eyes up to the perspective of the truck drivers, and what they do, day to day. I didn’t think of all the little things that they had to do, and every little thing I'd never thought of. It’s been really good. Clinton: Before you can qualify to drive a truck, you need to be at least 17 and a half years old and have successfully completed your Class 2 learner driver's licence before you are able to enter a truck cab for training. The cost to become qualified can range from $1,000 to $2,500. The starting hourly rate is $13 to $16, and the average hourly rate is $36. To become a heavy truck driver you need to hold a licence for the size and type of truck you intend to drive. However, a National Certificate in Commercial Road Transport may also be useful. More information about heavy truck licensing is available from New Zealand Transport Agency. The National Certificate in Commercial Road Transport is available through MITO. The New Zealand Army also trains and employs heavy truck drivers. No specific secondary education is required for this job, but English, maths, and construction and mechanical technologies to at least NCEA Level 2 are useful. courteous and law-abiding on the road. in an industry related to the materials being transported – for example, farming experience before driving livestock. Heavy truck drivers need to have good general health and good eyesight (with or without corrective lenses). are an experienced, reliable driver with a proven track record. Heavy truck driver appears on Immigration New Zealand's construction and infrastructure skill shortage list. 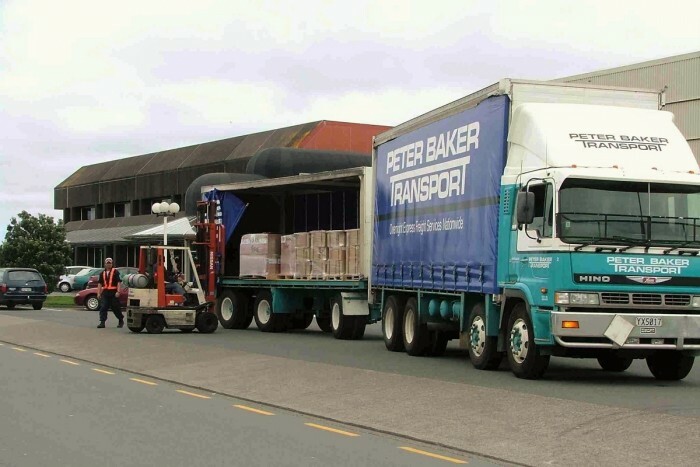 This means the Government is actively encouraging skilled heavy truck drivers from overseas to work in New Zealand. According to MITO, over 26,000 people were employed as truck drivers across New Zealand in 2016. Demand for heavy truck drivers is usually highest between September and February. This is due to increased activity during spring and summer in many industries that rely on trucking, such as infrastructure, agriculture and forestry. While demand is generally higher during this time, some sectors of the transport industry have different peak times. Some heavy truck drivers are self-employed contractors who own a vehicle and contract their services on a long or short-term basis. Immigration New Zealand, 'Construction and Infrastructure Skill Shortage List', 17 December 2018, (www.immigration.govt.nz). Ministry of Business, Innovation and Employment, '2006-2014 Occupational Data' (prepared for Careers New Zealand), 2015. Ngatuere, M, senior policy advisor, Road Transport Forum NZ, Careers Directorate – Tertiary Education Commission interview, January 2018. Heavy truck drivers may buy their own vehicle and become self-employed. They may eventually run a fleet of trucks and employ a number of truck drivers. driving trucks for specific industries such as forestry or petroleum. Furniture packers/movers pack furniture and equipment and move it between households, offices and storage places. Tow truck operators drive and operate trucks to tow vehicles that have broken down, been damaged or illegally parked.